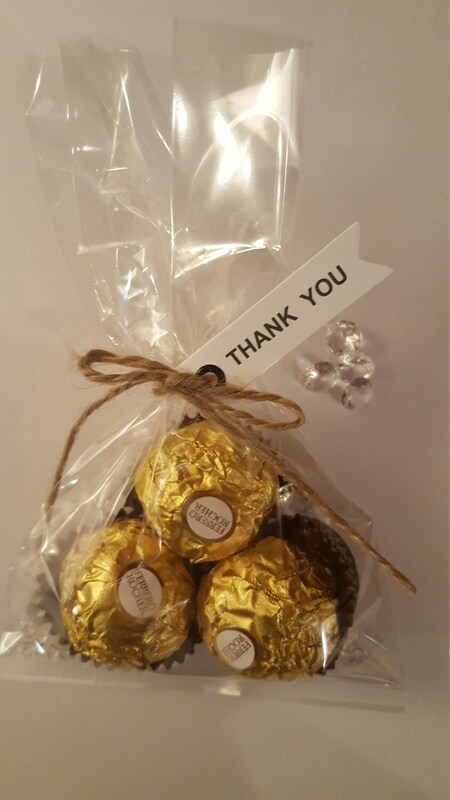 Ferrero Rocher Chocolate wedding favours. Name place setting. 3 x Ferrero Roche chocolates wrapped in cellophane. Perfect for that shabby chic vintage themed wedding. Will look lovely placed in a basket as a display for your guests to help themselves to a treat. I have also sold these as place settings for a wedding and I attached a name tag!